The three major Onam releases at the Kerala Box Office, Oppam, Iru Mugan and Oozham, hit the big screen on 8 September. As expected, all three films have embarked on a good start at the Box Office. Oppam marks the return of the blockbuster actor-director duo Mohanlal and Priyadarshan for the 30th time. On the other hand, Oozham, starring Prithviraj, is directed by the man behind the all-­time top Malayalam grosser, Dhrishyam, Jeetu Joseph. The only Tamil film in the lineup, Iru Murugan, starring Vikram in a dual role, has struck gold at the Box Office. According to early reports, Iru Mugan has released across more screens as compared to Oppam and Oozham. The Vikram starrer has released on 119 screens, as compared to Oppam and Oozham, which released on 105 and 100 screens, respectively. All three films have opened to similar occupancy at the Box Office and are getting good reviews from the audience. 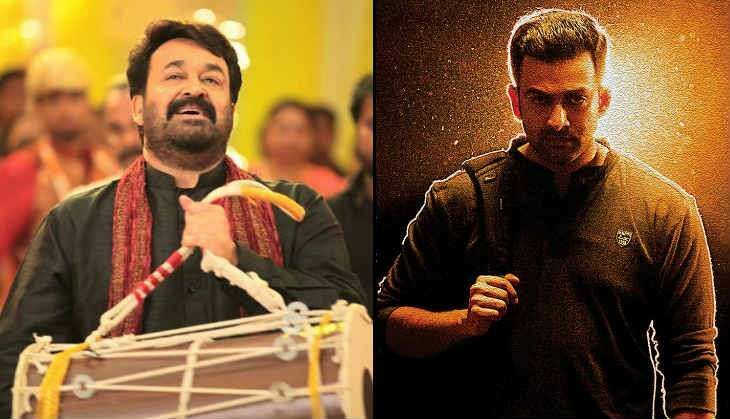 Mohanlal's Oppam is in the lead, followed by Oozham and Iru Mugan. The combined collections of all three films is expected to cross the Rs 3 crore-mark at the Kerala Box Office on 8 September. Early trends suggest an interesting battle ahead for all three films this Onam as Kunchacko Boban-starrer Kochavva Paulo Ayyappa Coelho and Dileep's Welcome To Central Jail are also slated to release in the next two days.